Summer, holidaytime – but not for hospital germs! Carola Timmel https://semmelweis.info/wp-content/uploads/2018/11/logo2.png Carola Timmel2018-08-01 09:43:242018-08-01 09:43:24Summer, holidaytime – but not for hospital germs! 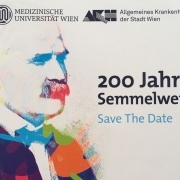 The peak of the Semmelweis year is over – let us continue to be inspired by this great man! 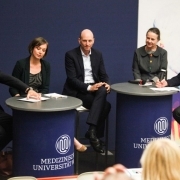 https://semmelweis.info/wp-content/uploads/2018/07/panel_discussion-1024x657.jpg 657 1024 Carola Timmel https://semmelweis.info/wp-content/uploads/2018/11/logo2.png Carola Timmel2018-07-09 10:17:272019-01-09 10:58:31The peak of the Semmelweis year is over - let us continue to be inspired by this great man! 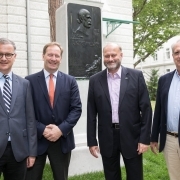 200 years Semmelweis: The newly designed square near the Semmelweis monument was opened! https://semmelweis.info/wp-content/uploads/2018/06/mueller_-kueenburg_wetzlinger_wagner-e1539173077132.jpeg 1000 1500 Carola Timmel https://semmelweis.info/wp-content/uploads/2018/11/logo2.png Carola Timmel2018-06-18 11:11:262019-01-09 11:01:48200 years Semmelweis: The newly designed square near the Semmelweis monument was opened! 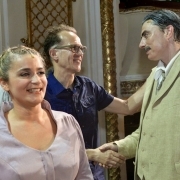 Semmelweis opera composer Ray Lustig: With the dire problems that face our species, we need our outsiders and their fresh ideas! https://semmelweis.info/wp-content/uploads/2018/06/semmelweis_premiere_bartok-plusz-opera-festival-1024x736.jpeg 736 1024 Carola Timmel https://semmelweis.info/wp-content/uploads/2018/11/logo2.png Carola Timmel2018-06-13 10:08:092019-01-09 11:05:18Semmelweis opera composer Ray Lustig: With the dire problems that face our species, we need our outsiders and their fresh ideas!